Rhinoplasty—commonly referred to as a nose job—ranks as one of the more popular procedures done strictly for cosmetic reasons. “There are lots of reasons for nasal surgery. Anything from trauma to asymmetries, as well as bumps and humps, can be reason enough for someone to want to change their nose,” says La Jolla, CA, plastic surgeon Robert Singer, MD. Be it from an injury, deviated septum or just the way your nose formed, the number-one problem with the nose is the way it looks in the profile. “A lot of people don’t like their nose from the side because it projects out too far. This is usually associated with a bump on the bridge that makes it look like it sticks out too much,” says New York plastic surgeon Sherrell Aston, MD. A bump, hump, droopy tip, wide nostrils, or too much projection can be distracting. “Patients who have a deviation of their nose, may have asymmetry of other aspects of their face, which they may not realize. You have to be careful about fixing your nose so that it is in harmony with the rest of your features,” says Dr. Singer. 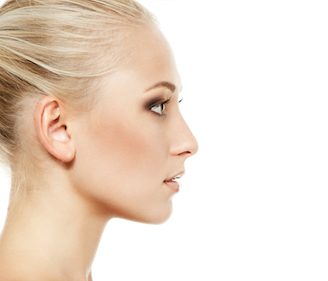 Nasal surgery can address a whole host of different concerns that will improve the look of the nose. The procedure can be done open (the cartilage and bony framework are exposed) or closed (the skin is left covering the nose and problems are addressed through small incisions inside the nose) depending on which one your plastic surgeon feels will best benefit you. “With the nose, it’s a matter of refining all parts of it to give it a streamlined and balanced look. You can’t correct the bump and not the tip, or vice versa, and expect it to look good,” says Dr. Aston. Keep in mind that even when the nose is surgically corrected, if it is overcorrected, you can end up drawing unwanted attention to it. Using injectables like Restylane or Radiesse to correct the nose has its place, but it isn’t an acceptable solution for all patients. Simpler than surgery, the main benefit of using filler as opposed to something that gives more of a permanent result is when minimal fine-tuning is necessary. “Injecting the nose can correct irregularities to smooth them out, but it needs to be done mostly on the bridge or sides of the nose, and not so much the tip,” says Miami plastic surgeon Sean Simon, MD. If the tip is the issue at hand, surgery is almost always necessary.